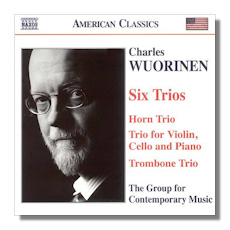 Charles Wuorinen (b. June 9, 1938 in New York City) is one of the world's leading composers. His many honors include a MacArthur Foundation Fellowship and the Pulitzer Prize (the youngest composer to receive the award). 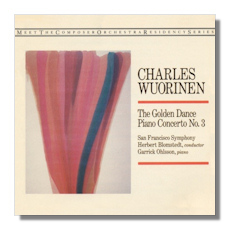 His compositions encompass every form and medium, including works for orchestra, chamber ensemble, soloists, ballet, and stage. 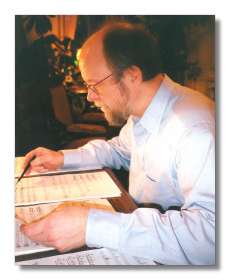 Recent works include Theologoumenon for James Levine and the Metropolitan Opera Orchestra, Fourth Piano Concerto for Peter Serkin, James Levine and the Boston Symphony, Flying to Kahani, commissioned by Carnegie Hall for Peter Serkin and the Orchestra of St. Luke's, and his opera, Haroun and the Sea of Stories, based on the novel of Salman Rushdie. 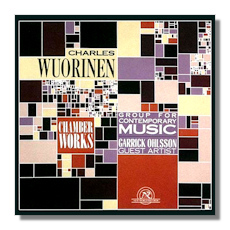 His works have been recorded on nearly a dozen labels including several releases on Naxos, Albany Records (Charles Wuorinen Series), John Zorn's Tzadik label, and a CD of piano works performed by Alan Feinberg on the German label Col Legno.